CHILDREN AND INFANTS – Our youngest and most precious patients deserve the most gentle and natural of healing options. Naturopathy can help to relieve many of the common complaints seen in babies and children. Learn how to get off the antibiotic round-about and restore your child’s immune system to protect and heal itself. Work to treat and prevent recurrent infections of the ears, throat and chest. 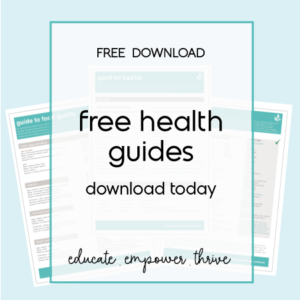 Learn how to lay the foundation of healthy, balanced eating habits so your children grow and thrive and perform to their best and have a healthy balanced emotional system. Professional advice on optimal nutrition and natural remedies can work to resolve these issues. PRE-CONCEPTION AND FERTILITY – This is an area of health that responds amazingly to naturopathic medicine. Both the male and the female reproductive system can be nurtured and enhanced so that conception can be achieved and a healthy pregnancy can occur. Clinical hormone testing and monitoring can identify core issues so that specific treatment plans can be created. Lifestyle and dietary adjustments can improve fertility outcomes in a short amount of time. PREGNANCY AND BREASTFEEDING – There is no other time in life that adequate nutrition and health is essential. Naturopathy can help to support women through this amazing journey so that energy, comfort, and babies development is optimised. 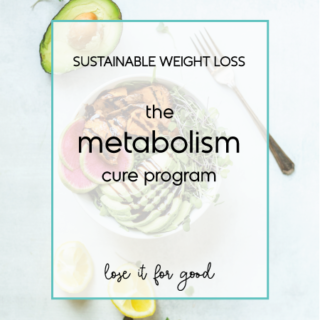 Prepare yourself to better handle the changes that are ahead and take comfort in the knowledge that naturopathic lifestyle guidelines will allow for the best outcome. Naturopathy can help prepare pregnant women for a positive birthing experience. HEALTHY AGEING – We are ageing at a rate faster than ever, it is now predicted our children will have a shorter lifespan than us. Naturopathy can empower us to achieve healthy ageing so we can enjoy a greater quality of life for longer. Through nutritional modifications, supplementation and lifestyle adjustments tailored to your specific concerns and dispositions a long healthy life is at reach. Common conditions that we treat at Manly Natural Health include – Type 2 diabetes, Insulin resistance, cardiovascular health, high blood pressure and fatigue. POOR IMMUNITY – Are you constantly getting one infection after the other. Do you suspect you have chronic candida? Heal and restore your immune system so that the body can fight off infection and get your bounce back. AUTOIMMUNE CONDITIONS – This is an area of speciality, especially for thyroid-related autoimmune conditions. Learn how to manage your condition and keep your symptoms under control. Everyone who suffers from an autoimmune condition presents differently and therefore needs their own unique management plan. DIGESTIVE HEALTH – Our modern diet can leave our digestive system in a state of inflammation and malabsorption. Naturopathy can help to restore our digestive system on a cellular level so that we can resolve irritation, discomfort, intolerances and we can enhance absorption of nutrients. Do you suffer from a range of digestive concerns, but are unsure as to what is causing them. Let us delve deep and get to the source of the problem. Conditions that we see and treat in our Manly naturopathic clinic include – Irritable Bowel Syndrome, Constipation, Diarrhoea, Food intolerances, Heartburn/reflux, Indigestion, Crohn’s Disease, Leaky Gut Syndrome, Intestinal Dysbiosis, Ulcerative Colitis. Learn how adopting a ‘real food’ diet will put you on the path to amazing health and vitality. We also offer in-clinic food intolerance testing and can arrange the pathology requests for function testing. INSOMNIA – Get support to re-boot your sleep cycles so that you can fall asleep, stay asleep and wake up feeling refreshed and ready to go. STRESS, ANXIETY, DEPRESSION – Naturopathically we look at the balance of the entire body including hormonal, adrenal and neuro systems to work to relieve the burden of these feelings and to allow you to enjoy your day, every day. SKIN CONDITIONS – Work to heal the skin from the inside out is the only way to truly heal the skin. Treatment for conditions such as acne, eczema, psoriasis and dermatitis. 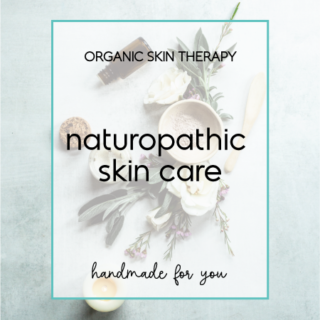 Skincare is a particular area of interest for me, so much so that I have developed a handcrafted range of organic skin care products to help you achieve truly glowing, healthy skin.